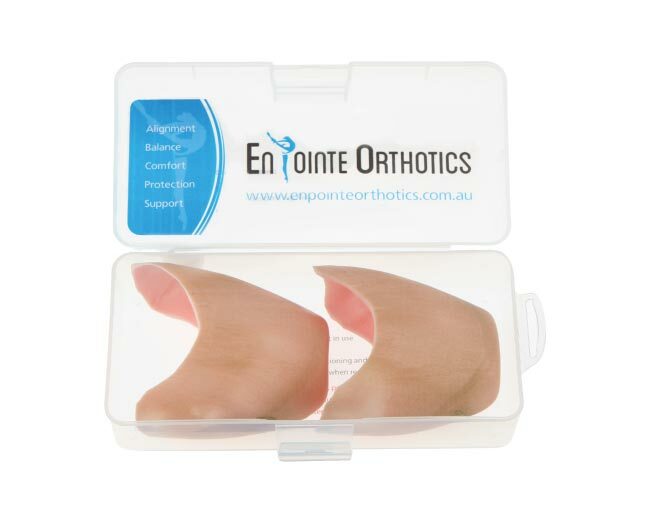 En Pointe Orthotics is an innovative, flexible, fully custom made silicone insert, worn inside the box of a pointe shoe. The development of EPO was researched and refined through substantial trials and work with dancers, teachers and in consultation with industry professionals including Orthopaedic Foot and Ankle Surgeon Dr Aneel Nihal and physiotherapist Peter Georgilopoulos. Dancers have described a feeling of better control, balance and comfort. Optimising the longevity of a dancer’s career. 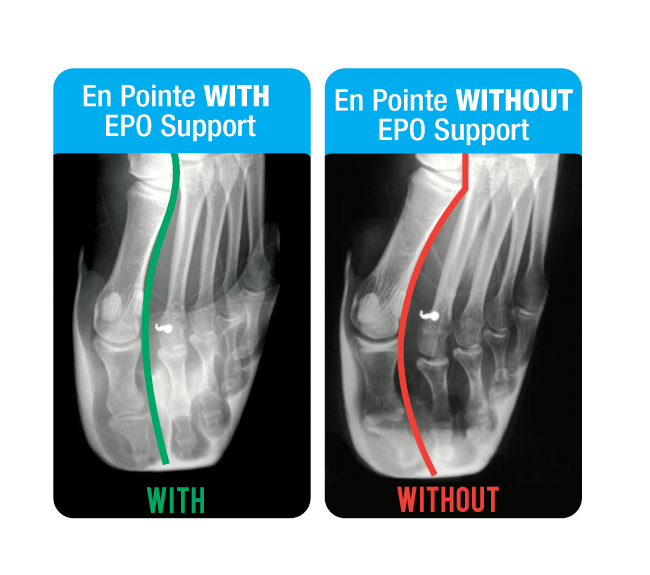 En Pointe Orthotics are only available through Accredited En Pointe Orthotic Fitters. Issues of fit, alignment and support are addressed in a personalised procedure. Effective, consistent and reliable Without restricting movement, En Pointe Orthotics provides the necessary support, a more even weight distribution and alignment of the toes which may help diminish the risk of injury and prevent deformity. The specially formulated EPO material is flexible enough to absorb energy yet firm enough to provide support and alignment without sacrificing the feel through the floor. Many dancers have commented on the fact that they can dance for longer periods en pointe without the pain in their feet and toes. "I absolutely believe in En Pointe Orthotics and know it's a game changer for the dance industry. As an ex- professional ballerina with The Royal Ballet, I know how sore dancers feet can get after two shows of Swan Lake in one day! During rehearsals & performances I use to get extreme toe & bunion pain which felt unbearable at times. After being fitted professionally by the EPO team with my own personalised pair of Orthotics, I now have no pain on pointe at all!  I believe every dancer needs their own pair of En Pointe Orthotics to reduce the pain & damage that can be caused by pointe shoes after several years. To the EPO Team,Thankyou for changing my experience En Pointe!" En Pointe Orthotics have completely changed the way I dance en pointe. I am now able to dance for longer periods of time without pain and have improved balance, stability and control. En Pointe Orthotics are custom made to my feet and provide support that would previously only be available through numerous products. Because of the benefits the En Pointe Orthotics provide, I am now able to get the best out of myself and my pointe work.